Yuyao ermei oil seal co.ltd was founded in the year 1990, ,jointly cover range of manufacturing oil seals,o rings,rubber gasket,rubber parts and various of rubber seals,with wide range of material including Silicone rubber, Natural rubber, Fluoroelastomers(Viton,FKM,FPM), Nitrile(NBR), EPDM, Neoprene(CR), ACM,and Fluorosilicone.which was all compounded by ourself,That's the why we have the competitive price. Our factory occupies 5600 square meters,have vulcanize area,rubber compound area,rubber cutting area,surface treatment area,trimming area,metal punch area,tooling making area,test laboratory,dining room and warehouse,others.and we have more than eighty empolyees,including three engineers,three inspector and other five office staff. 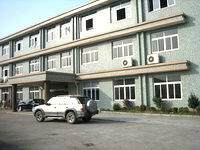 We have full production facilities including Vacuum vulcanizing machines,metal puncher, Optical vision measuring, Tensile tester, Oil seal tester,Aging tester, Oil seal radial force measuring,and all of our processes are controlled to ISO 9001:2008 standards. With growth of more then twenty years, We are fully integrated, with capabilities from material compound , tool development to full production including. In the year 1999,we begin to engaged in manufacture PTFE/Ptfe products including ptfe gasket,ptfe gasket,ptfe washer,made from virgin PTFE/Ptfe or filled PTFE like Carbon, Glass, Bronze, Graphite. They are used for laboratory,hydraulic,oil seal lip,valve,and other industrial application. You can trust us to serve you professionally and It is our hope that we will build a great cooperation together with you,Let's begin with your inquiry,our business principle is "Mutual Profit". Welcome to visit our company. 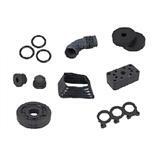 These rubber parts is made from our finest epdm compounds,which is one of the most commonly used elastomer in most of the industries, high levels of abrasion are present,and high fluid resistant,but low cost . 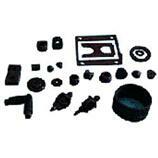 we are also Epdm parts,EPDM rubber parts,molded epdm parts,epdm products,Industrial epdm products manufacturer. This seals is made from our finest Nitrile compounds,which is one of the most commonly used elastomer in most of the industries, high levels of abrasion are present,and high fluid resistant,but low cost,we are also Nitrile rubber seals,Industrial rubber seals,Automotive rubber seals,NBR seals,custom Nitrile seals manufacturer. These rubber seals is made from our finest silicone compounds,which is one of the most commonly used elastomer in most of the industries, high levels of abrasion are present,and high fluid resistant,but low cost . we are also silicone seals,silicone rubber seals,Automotive silicone seals,molded silicone seals,industrial silicone seals manufacturer. These rubber gasket is made from our finest silicone compounds,which is one of the most commonly used elastomer in most of the industries, high levels of abrasion are present,and high fluid resistant. we are also china silicone rubber gasket,molded silicone gasket,silicone rubber gasket,industrial silicone gasket,Industrial rubber gasket factory. These rubber cover is made from our finest silicone compounds,which is one of the most commonly used elastomer in most of the industries, high levels of abrasion are present,and high fluid resistant,but low cost . we are also Rubber pipe cover,rubber cover,epdm cover,rubber cover flashing,rubber pipe boot manufacturer. These rubber cover is made from our finest silicone compounds,which is one of the most commonly used elastomer in most of the industries, high levels of abrasion are present,and high fluid resistant,but low cost . we are also Rubber roof pipe flashing,Roof pipe flashing,rubber cover,silicone cover,rubber cover manufacturer. We professionally manufacture viton oil seals,fkm oil seals,fpm oil seals,viton shaft seals,fpm shaft seals, which are used for preventing oil leakage from vehicles and improve the efficiency of the engines. These are highly demanded in automobile industry for their excellent mechanical strength and resistance against corrosion and abrasion. This is Yuyao ermei oil seal from China, which manufactures o ring kit for over 10 years, including AS568 O ring kits, standard O ring kits,o ring box,rubber ring kits,NBR ring kits, etc, enjoying high reputation in world.We sincerely wish to be your best supplier in the near future.